All of our Zondo Commission coverage is contained in the accordion below. Simply click on a month to open up all our articles for that month, and click on it again, or click on another month, to close it. The National Treasury’s acting chief procurement officer, Ndleleni Mathebula, unpacked the inner workings of government’s massive procurement system. 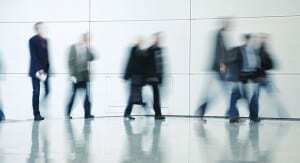 The commission is on recess for two days until Friday, 24 August 2018. In order to understand the complexities of the Zondo Commission, it is very important to also understand what a commission of inquiry is, its origins in this country, and what level of authority it has. This opinion piece, first published in City Press in November 2016, provides this information under the title Do commissions of inquiry have teeth?. Former deputy finance minister Mcebisi Jonas delivered extraordinary testimony of how he was approached by a member of the Gupta family and offered a bribe of R600-million to take over as finance minister and work according to the Guptas’ agenda. Former ANC MP Vytjie Mentor started her testimony by providing context to her early meetings with the Guptas and former president Jacob Zuma. On day two she gave details of a meeting at the Gupta home in Saxonwold, at which Jacob Zuma was present, as well as an indication of the lack of interest from ANC leadership at her concerns expressed in this regard. Mentor has a strongly supportive family who travelled long distances to be with her as she testified. We spoke to her sister to find out what makes this brave woman tick. In his testimony, former GCIS head Themba Maseko echoed Jonas and Mentor in questioning the conduct of the Hawks. CASAC intends to oppose the extension of the commission’s period of operation. Read the organisation’s rationale here. Acting DG of the government communication and information system, Phumla Williams, testified that former communications minister Faith Muthambi damaged the organisation to an extent that it will take some time to recover. Faith Muthambi responded to Phumla Williams, describing her as ’emotionally unhinged’. Justice Zondo heard applications from implicated persons, to cross-examine those who named them. Jan Gilliland, a senior official within the National Treasury, testified that the Guptas got just under R250-million in payments from government for their media companies. The Gupta brothers Ajay and Rakesh, who are currently in Dubai, have tried to force the hand of the Zondo Commission by imposing conditions under which they would testify. Consequently, their application was denied. Justice Zondo has granted Duduzane Zuma permission to cross-examine Mcebisi Jonas, who implicated him in the Guptas’ offer to him of money and a top cabinet position, provided he would do their bidding. Justice Zondo has asked former president Jacob Zuma to submit his version of events in which he was implicated. Former president Jacob Zuma is willing to co-operate with the Zondo Commission. However, he says that his decision not to cross-examine witnesses is being viewed as non-co-operation. Testimony from Standard Bank revealed that cabinet ministers tried to put pressure on the bank after it made the decision to close accounts of the Guptas. Standard Bank threatened after decision to close Gupta accounts. Witnesses from FNB and Absa came forward today to substantiate Standard Bank’s claim of government interference in the closure of Gupta bank accounts. Nedbank was expected to pick up where the other three big banks left off, by becoming the Gupta family’s banker – this is the impression that Nedbank CEO Mike Brown got when he met with ANC officials. Ajay Gupta, implicated in numerous instance of state capture, has claimed that he never met with Mcebisi Jonas to offer him a R600-million bribe and in fact, was somewhere else when the meeting was supposed to have happened. The Zondo Commission’s legal team has made an application for the so-called #GuptaLeaks e-mails to be admitted as evidence. In this case, the commission will be obligated to investigate them, according to its mandate. 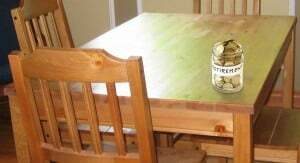 #GuptaLeaks e-mails enter the picture. 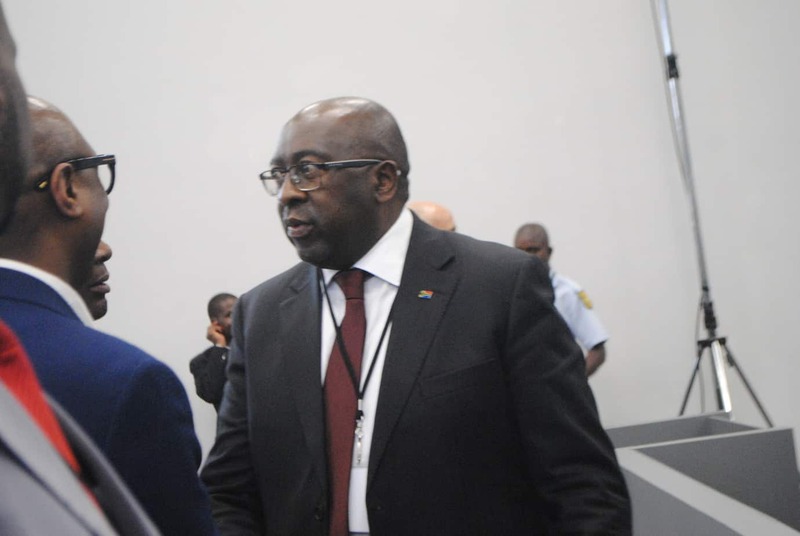 For the first time since his dismissal on 9 December 2015, finance minister Nhlanhla Nene revealed details of the sequence of events leading up to that day. Nene was reappointed as finance minister on 27 February 2018. 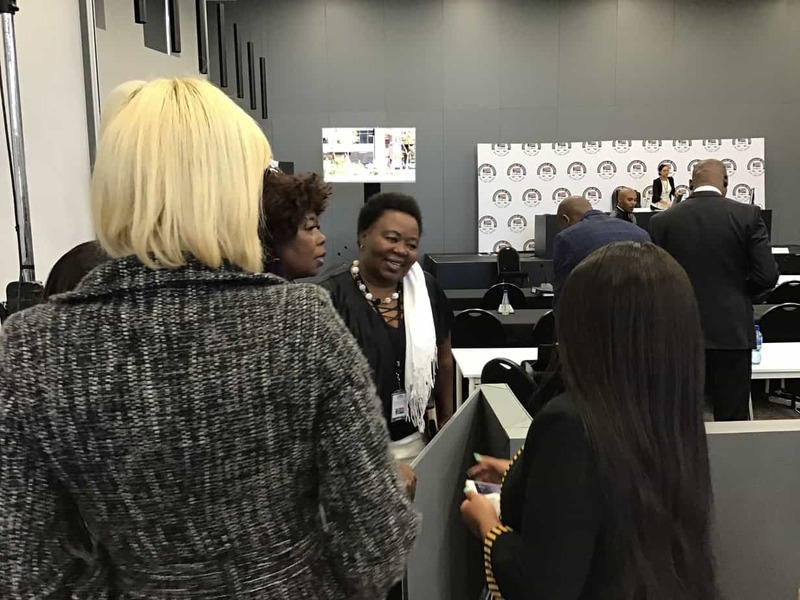 Photos of former finance minister Nhlanhla Nene at the Zondo Commission. 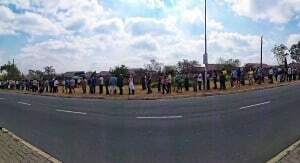 Photographer: Kwazi Dlamini, Corruption Watch. The commission of inquiry into state capture has been postponed to 12 November when it will hear the evidence of former public enterprises minister Barbara Hogan. Former public services minister Barbara Hogan, who was named in the testimony of Vytjie Mentor in August, appeared before the commission today and gave details of how former president Jacob Zuma pressured her to appoint a Transnet CEO of his choosing – one who was not as suitable as the board’s choice, and who at the time was involved in a misconduct disciplinary process to boot. Former Eskom CEO Jacob Maroga, at the time leading up to his departure from the power utility in late 2009, was a chief executive who had gone rogue, understanding that he had the backing of the president. This is the description of former public enterprises minister Barbara Hogan during her second day of testimony. Barbara Hogan wraps up her testimony, describing former president Jacob Zuma’s complete disregard for good governance in SEOs, while Mwanzele Manyi gets his day before the commission, defending the controversial changes he made while head of GCIS. 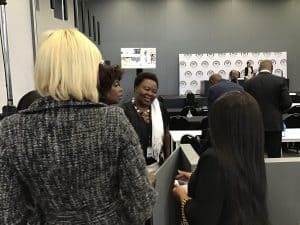 The Zondo commission of inquiry into state capture sat briefly on Thursday morning to deal only with procedural matters involving the return of two witnesses, former MP Vytjie Mentor and former finance minister Nhlanhla Nene, who testified in August and October respectively. After a month-long break, the Zondo Commission into allegations of state capture resumed on 12 November, and immediately gave South Africans much to think about. From former public enterprises minister Barbara Hogan detailing the interference of former president Jacob Zuma in leadership issues in SOEs, to former GCIS head Mzwanele Manyi pointing fingers at his successor Phumla Williams, it was an interesting first week back. Public enterprises minister Pravin Gordhan made his highly anticipated appearance before the commission. Gordhan revealed information that showed how keen the South African government was in 2014 to secure the nuclear deal with Russia. Read Gordhan’s full statement to the commission. Public enterprises minister Pravin Gordhan continued with his testimony, which is expected to wrap up on Wednesday 21 November. He described the efforts made by the Zuma government to push him out of Treasury. Public enterprises minister Pravin Gordhan said that a general fear of retribution from powerful people in the state capture machinery was a big reason that many in the ruling party have not reported corruption they see happening. Gordhan finished his testimony and was followed by former treasury director-general Lungisa Fuzile. Recalling the events of December 2015, former treasury director-general Lungisa Fuzile said that in retrospect, it all fits like a hand in glove – that this is how the takeover of departments is designed. He added that a similar pattern of events had happened at the Department of Mineral Resources, which was taken over by Mosebenzi Zwane in September of that year. Former finance minister Des van Rooyen’s stay in Treasury in late 2015 may have been a uniquely short one, but it had serious consequences for the department – particularly then director-general Lungisa Fuzile – largely because of his lack of attention and appreciation for protocol and procedure. Insults and derogatory statements, such as those made yesterday by EFF leader Julius Malema, severely undermines the seriousness of the work being done by the Zondo Commission, and could negatively influence the willingness of witnesses to give vital testimony. CW has called on Deputy Chief Justice Zondo to hold Malema to account for his disrespectful words. A treasury in disarray – this was the main focus of this week’s testimony at the Zondo Commission. Former finance minister Pravin Gordhan and his former director-general Lungisa Fuzile painted a disturbing – and at times, amusing – picture of the goings-on in National Treasury during 2014 and 2015. 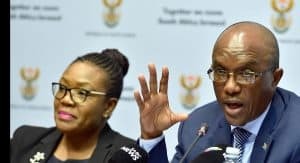 Former treasury spokesperson Phumza Macanda told the Zondo Commission that she, like her former colleagues who have testified before her, had the impression that Des van Rooyen did not know the two advisors he brought along to the department when he was appointed finance minister in 2015. “The commission will not consider what is said outside the commission and in media, and anyone with credible evidence should come forward and give it,” said Deputy Chief Justice Raymond Zondo, responding to allegations made by the EFF against public enterprises minister Pravin Gordhan and the commission’s head of legal Paul Pretorius. In December 2010, just weeks into Cheryl Carolus’ tenure as chairperson of South African Airways, former public enterprises minister Malusi Gigaba sought to impose a private Indian-based airliner on the leadership of SAA. The commission of inquiry into state capture announced on Tuesday that it had halted its public hearings until January. The date of the recommencement of the hearings, chaired by Deputy Chief Justice Raymond Zondo, will be announced next month. 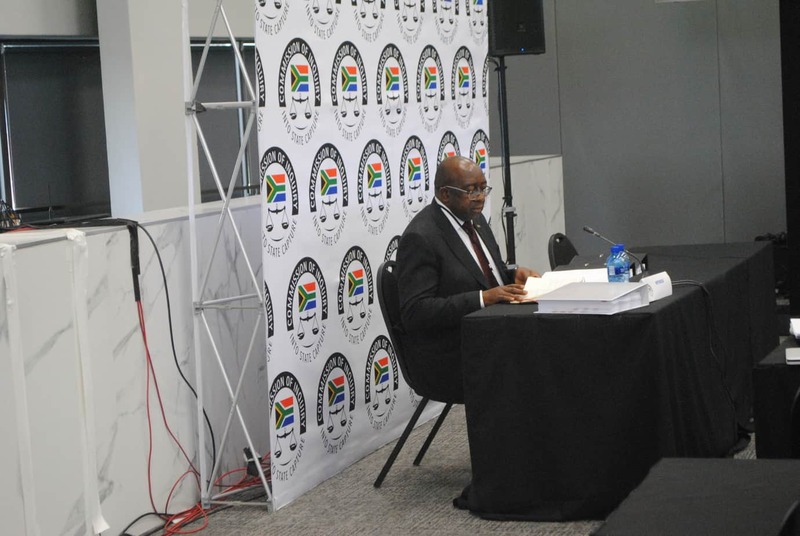 Angelo Agrizzi, the former chief operations officer of controversial facilities management company Bosasa, is the first person to testify before the state capture commission this year. On Wednesday he revealed that the company spent between R4-million and R6-million monthly for bribes to senior government officials on the company’s payroll. 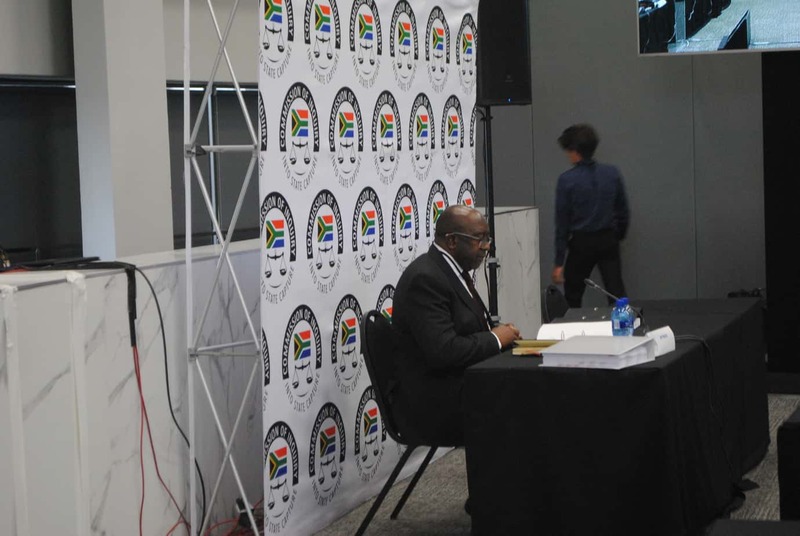 On day two of testimony from former Bosasa executive Angelo Agrizzi, attendees watched video evidence that showed CEO Gavin Watson and two of his directors packing and arranging stacks of money while inside a vault at the company offices. Bosasa – which enjoys a large number of government contracts – generated cash that would be used to bribe public officials in return for their loyalty and favours., said the company’s former COO Angelo Agrizzi on his third day of testimony. Commission secretary Khotso De Wee is on special leave while an investigation into allegations of corruption against him ensues. De Wee was implicated in the statement of former Bosasa COO Angelo Agrizzi, who said that De Wee was one of the senior officials of the Department of Justice and Constitutional Development who received bribes from Bosasa. Bosasa, now African Global Operations, was at the beck and call of former environmental affairs minister Nomvula Mokonyane for the most part, said Agrizzi, even paying for rented cars for as long as three months at a time for her daughter, during her visits from her studies in China. Former Bosasa COO Angelo Agrizzi says not only is the Department of Correctional Services captured, but the members of Parliament charged with overseeing its affairs have long been in the pocket of Bosasa, one of its biggest contractors. Linda Mti, former national commissioner for the Department of Correctional Services, continued to benefit financially for his part for years, despite his resignation from government in late 2006. Mti was but one recipient of largesse from Bosasa, which manages the catering and security services contracts at correctional services across the country. 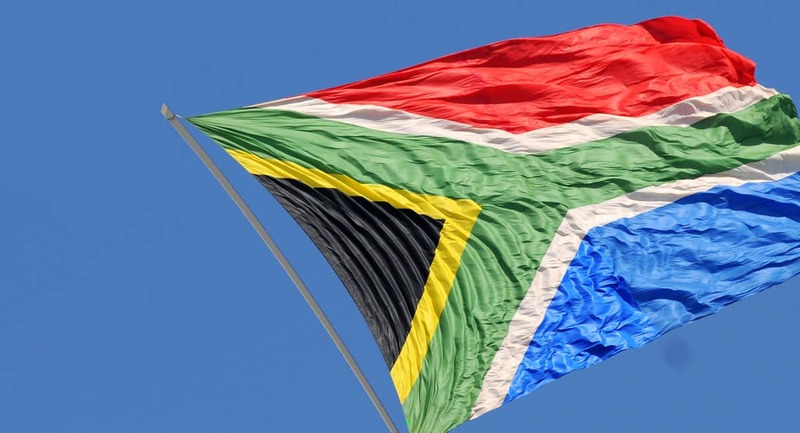 The chairperson of the commission on inquiry into state capture, Deputy Chief Justice Raymond Zondo, on Tuesday announced the appointment of Peter Pedlar as acting secretary of the commission. Pedlar replaces Dr Khotso De Wee, who is currently on special leave pending an investigation into his implication in corruption by a witness. Former Bosasa COO Angelo Agrizzi told the commission of inquiry how he and other directors had to destroy evidence when they first discovered that the Special Investigating Unit was coming after the company. The Special Investigating Unit recommended as far back as 2009 that the Department of Correctional Services take action against its former national commissioner and CFO, Linda Mti and Patrick Gillingham respectively, for their irregular dealings with Bosasa. To date, this has not happened. With key National Prosecuting Authority people in its pocket, Bosasa could keep tabs on the progress of the case against the company, and therefore influence its direction. Bosasa CEO Gavin Watson allegedly boasted about playing puppeteer with former president Jacob Zuma to his colleague Angelo Agrizzi and former commissioner of the Department of Correctional Services Linda Mti. Former South African Airways chairperson Dudu Myeni was on Bosasa’s payroll, receiving R300 000 per month. She was the conduit between Bosasa and former president Jacob Zuma. Myeni, Zuma helped smooth the way for Bosasa. Former Bosasa COO Angelo Agrizzi, still in the witness chair, outlined numerous plans by CEO Gavin Watson and his brothers to buy Agrizzi’s silence over the corrupt activities he had seen and taken part in, in his almost 20 years with Bosasa. An audio recording played on Tuesday morning revealed witness Angelo Agrizzi making racist, derogatory remarks in the company of other people. From a fake prawn farm and duping the South African Revenue Service (Sars) through falsified financials, to violating immigration laws, former Bosasa CFO Andries van Tonder participated in many compromising dealings in his two-decade career at the company. Cabinet ministers Gwede Mantashe and Nomvula Mokonyane, and deputy minister of correctional services Thabang Makwetla, were named among those who benefited from home security and general maintenance work paid for by the company over some years. Former Bosasa IT head Leon van Tonder testified of his participation in the illegal deletion of files relating to the multi-million-rand catering contract with the Department of Correctional Services, a contract that was in the spotlight of the Special Investigating Unit. n assortment of witnesses appeared before the commission of inquiry into state capture on Tuesday, all giving evidence relating to Bosasa. They included Adriaan Basson, editor-in-chief of News24, who related how Bosasa employees and service providers threatened him during the time he was investigating the company. Former Bosasa COO Angelo Agrizzi is out on R20 000 bail, having been arrested this week on fraud and money-laundering charges. Appearing alongside him at the bail hearing were erstwhile colleagues Andries van Tonder, the former CFO of Bosasa; former Bosasa fleet manager Frans Vorster; former CFO of the Department of Correctional Services (DCS), Patrick Gillingham; and others. Former ANC MP Vytjie Mentor returned to the hot seat at the commission of inquiry into state capture on Monday, to answer to allegations she had made in an affidavit last year. Most of the morning’s proceedings focused on travel records of both Mentor and some of the people she had implicated in her testimony in August 2018. Former ANC MP Vytjie Mentor stuck to her guns on Tuesday, not deviating from evidence she has submitted to the commission of inquiry into state capture regarding the issue of the Gupta brothers being part of an August 2012 state visit to China, led by former president Jacob Zuma. Former ANC MP Vytjie Mentor, despite being pressed, would not budge on the veracity of her version of the evidence. Mentor faced the legal representatives of former chief of staff in the office of Jacob Zuma, Lakela Kaunda, and advocate Mandla Mtolo of the Hawks. Both questioned her version of events. The credibility of former MP Vytjie Mentor’s evidence to the state capture commission took another knock on Thursday with the testimony of architect Erna Wiese in relation to the layout of the Gupta family home in Saxonwold, Johannesburg. Mentor alleges a meeting occurred in 2010 between herself and Ajay Gupta. Wiese was part of a team of senior architects, valuers and surveyors who accompanied Mentor and a team from the commission on an inspection of the house. The testimony of IPID executive director Robert McBride was postponed indefinitely on Thursday, because his sworn statement was only received late on Wednesday, and as a result the commission’s lawyers had not had sufficient time to notify the people implicated in his evidence. Former finance minister Des van Rooyen’s application to cross-examine the department’s former director-general Lungisa Fuzile at the commission of inquiry into state capture was postponed on Monday, because of logistical issues raised by the commission chairperson, Deputy Chief Justice Raymond Zondo. National Treasury’s chief director of macro-economic policy, Catherine MacLeod, testified at the commission of inquiry into state capture on Tuesday, giving insight into the damage caused to the economy by former president Jacob Zuma’s cabinet reshuffles, specifically because of the negative reaction of financial markets. Eskom chairperson Jabu Mabuza will testify before the commission of inquiry into state capture on Friday, and is expected to give insight into the financial status of the power utility when the new board took over last year. Essentially, the events of 2015, the commencement year of the R3-billion contract with coal supplier Tegeta, will form a large part of the evidence sought by the commission for the coming few weeks. Wednesday, 20 February, marked the beginning of the commission’s focus on state-owned entities in the state capture project, with Eskom first in line. 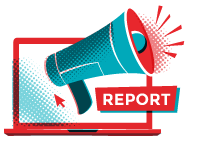 Overdue announcement of results, a bad credit record, no funding, and threats of no further funding. This is the Eskom Jabu Mabuza and the rest of the board found when they started in January last year. The board inherited a financially unstable company, and there have been many hurdles to overcome. Eskom chairperson Jabu Mabuza has told the commission of inquiry into state capture that it is important for the utility to have the confidence of investors and funders, because it relies heavily on this for survival. Eskom board chairperson Jabu Mabuza concluded his appearance before the commission of inquiry into state capture on Monday. He said that Eskom’s most vulnerable period was between March and December 2015, when a change in leadership enabled third parties affiliated to the Guptas to run amok, pillaging the power utility’s finances along the way. Former chief executive of Glencore, Clinton Ephron, has told the commission of inquiry into state capture how a struggling Optimum coal mine was at Eskom’s mercy for years while negotiating for an amendment to their coal supply agreement. When former sports and recreation minister Fikile Mbalula was informed of his imminent promotion by members of the Gupta family. He reported this at a meeting of the ANC’s national executive committee but to members’ consternation, former president Jacob Zuma did not address the issue on the day, or on any other occasion after that. Eskom head of treasury Andre Pillay testified that a R25-billion loan facility signed in 2017 by then interim CEO Sean Maritz was a grossly flawed process that exposed interference from then board chairperson Zethembe Khoza and former public enterprises minister Lynn Brown. For the R25-billion loan deal between Eskom and Chinese firm Huarong to proceed, all repayments from the power utility would have to be paid into the account of an entity called Ideva. This put officials in Eskom’s treasury unit in an awkward situation, and prompted senior manager for funding execution Sincedile Shweni to demand that Ideva submit financial statements, through which he could assess its legitimacy. The controversial advance payment of R659-million that Eskom made to Tegeta Exploration in April 2016 came under the spotlight at the commission of inquiry into state capture on Tuesday. The commission heard how procurement controls were breached in order to process the payment on an unusually tight deadline. Another manager in Eskom’s primary energy division has testified to the irregular processes that senior executives at the power utility used to impose penalties on Optimum mine while that it was owned by Glencore Minerals and during the lead up to its acquisition by Tegeta Exploration. The commission of inquiry into state capture heard on Monday how Eskom lied to National Treasury about Majuba power station receiving coal from Brakfontein Extension, a part of the Brakfontein mine with which the power utility concluded a coal supply agreement in March 2015. A dismissive Brian Molefe, new in the position of CEO in 2015, wanted to hear nothing of a proposed price hike by Eskom to Optimum, on the basis that the mine had for some time been supplying coal at a higher cost than what they were getting from Eskom for it. Standard Bank’s Ian Sinton has revealed how his team had to investigate a trail of transactions over the course of 2014 that the bank deemed suspicious, stemming from Transnet as the original source. Over R200-milliion was moved around in this way, before Standard Bank took action. Tom Moyane’s lawyer, Advocate Dali Mpofu, submitted Moyane’s argument to be permitted to cross-examination, over allegations Pravin Gordhan made against him during his testimony before the commission in November last year. The commission of inquiry into state capture heard on Wednesday that former Gupta company Oakbay Investments may have lied about being good for the money to buy Glencore-owned Optimum mine in early 2016. Former mineral resources director-general, Thibedi Ramontja, told the commission of inquiry into state capture on Thursday that all issues relating to Optimum mine became centralised in the office of former minister Mosebenzi Zwane when he arrived at the department in late 2015. Former deputy finance minister Mcebisi Jonas has refuted claims by Duduzane Zuma that the only reason the latter drove him to the Gupta family home in Saxonwold on 23 October 2015 was to help settle a spat between Jonas and Duduzane’s long-time friend Fana Hlongwane. Former public enterprises minister Lynne Brown brought changes to the Denel board in mid-2015 that contributed to its financial freefall and did not speak to the needs of the arms company at that time. The board of directors appointed at state-owned arms company Denel in 2015 did not only embark on a deal with VR Laser without sufficiently researching market appetite for this new entity, but a consequence of the deal is that Denel lost a lot of money in the process, while VR Laser was the main beneficiary. The takeover of VR Laser, the company allegedly used by the Gupta family to advance a venture with Denel and establish the controversial Denel Asia, was detailed by its former shareholder and COO Madoda Benny Jiyane at the commission of inquiry into state capture on Tuesday, 19 March. The only reason former Denel head Riaz Saloojee lost his job in 2016 was because he was a stumbling block to all Gupta attempts to do irregular business with the state-owned arms manufacturer. Fikile Mbalula confirmed on Friday that he told an ANC national executive committee meeting in 2011 of his anger and irritation at finding out from by Ajay Gupta of his impending promotion from deputy minister of police to minister of sports and recreation the previous year. Former Bosasa auditor Peet Venter told the Zondo commission that he was threatened by former Bosasa COO turned whistle-blower Angelo Agrizzi to get him to participate in Agrizzi’s plan to expose Bosasa CEO Gavin Watson. On his second day of testimony at the Zondo commission of inquiry into state capture, former Bosasa auditor Peet Venter told the commission that the firm’s CEO Gavin Watson asked him numerous times to do illegal things. 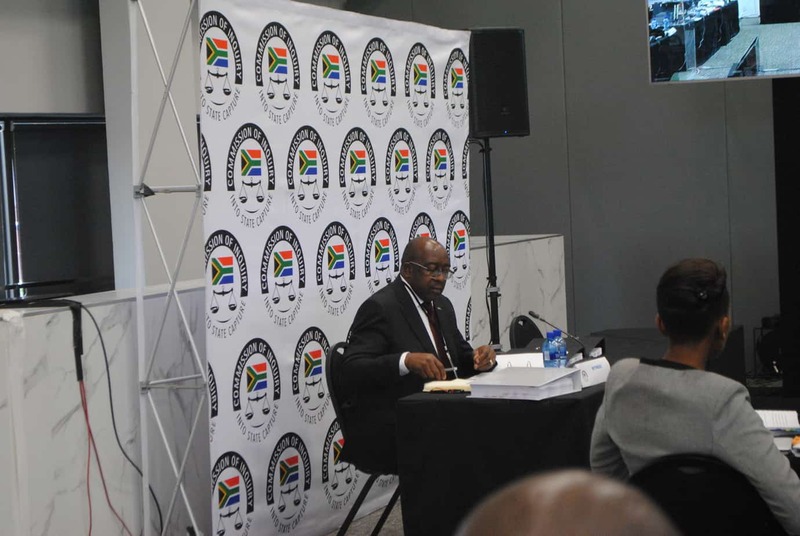 The 2009 Special Investigating Unit report on facilities management company Bosasa was compromised by a court interdict in the early stages of the probe in 2007 that prohibited investigators from interviewing material witnesses. 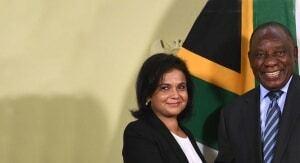 Advocate Marijke de Kock, senior prosecutor with the National Prosecuting Authority, told the commission of inquiry on state capture on Tuesday that the documents relating to Bosasa’s fraud and corruption case, submitted by the company’s former COO Angelo Agrizzi to the commission, were authentic NPA records leaked during her investigation several years ago. Former Free State MEC for economic development Mxolisi Dukwana told the commission of inquiry into state capture on Friday how he was set up by his boss Ace Magashule in 2011 to meet with Rajesh Gupta, who demanded a partnership in a major innovation project under his department. The chairperson of the commission of inquiry into state capture deputy chief justice Raymond Zondo on Monday slammed his legal team for its failure to adhere to the commission’s rules regarding notices given to people implicated by witnesses who testify before the commission. 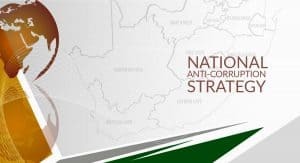 The crime intelligence component of South Africa’s law enforcement network was primarily used to frustrate the work of the Independent Police Investigative Directorate (Ipid) for years, the commission of inquiry into state capture heard from former Ipid head Robert McBride on Thursday. The bulk of former Independent Police Investigating Directorate head Robert McBride’s testimony on Thursday focused on the illegal renditions case over which his office presided, that involved former Hawks head Anwar Dramat and his then Gauteng provincial counterpart, General Shadrack Sibiya. Former police minister Nathi Nhleko acted incorrectly in suspending former Hawks head Anwar Dramat and his Ipid counterpart Robert McBride in 2014 and 2015 respectively, as he sought to pursue the agenda of rendering the two institutions dysfunctional. A notion that Robert McBride and former Hawks head Anwa Dramat know each other personally and are from the same background may have been the motivation behind the political smear campaign accusing McBride of trying to protect a guilty Dramat in the alleged 2010 illegal renditions case over which he was suspended in 2014 and later resigned. Robert McBride, former head of the Independent Police Investigative Directorate (Ipid), and two of his executives were exonerated in 2015 following what he calls a politically charged campaign to get rid of him. This, he said, was for the corruption he exposed in the South African Police Service over his five-year Ipid term. Former Ipid head McBride told the commission of inquiry into state capture on Monday that his successor, Israel Kgamanyane, who was appointed in an acting capacity, lied to Parliament when he reported that the performance of the agency had improved while McBride was suspended. 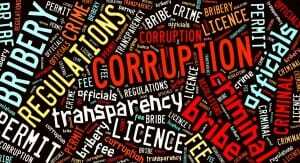 The South African Police Service (Saps) runs on a system of patronage – “I do favours for my seniors, I get promoted” – which has a serious consequence for South Africa’s fight against corruption, unless it is curbed, said former Ipid head Robert McBride on Tuesday. Before the first whistle of the iconic 2010 Fifa World Cup had gone off, controversial KwaZulu-Natal businessman Thoshan Panday had started making himself lots of money by supplying the provincial police office with services for which invoices were grossly inflated, with the help of senior officials. A mutual friend of former KwaZulu-Natal Hawks head Johan Booysen and Edward Zuma attempted to get the latter’s father, former president Jacob Zuma, to intervene during a tense period when Booysen was investigating an apparent business associate of Edward’s, Thoshan Panday, in 2010. Booysen began testifying before the commission of inquiry into state capture on Wednesday. Detailing what sounded like the plot in a Hollywood detective movie, former KwaZulu-Natal Hawks head Johan Booysen told the commission of inquiry into state capture on Wednesday of events that occurred between 2010 and 2011 while he investigated the alleged corruption between Durban businessman Thoshan Panday and senior officials in the province’s police headquarters.